"Ruben's pictures are colourful and alive!! what more do I have to say? He's a true inspiration!" "El arte es una especie de lenguaje con la virtud de ser universal. No obstante, pocas veces se logra entender la magnitud de esta universalidad y solo cuando uno se encuentra con obras maestras como las que nos acostumbra a mostrar Ruben, entiende que lo universal del código de la estética y de la belleza. Los paisajes y los retratos urbanos están cargados de magia, de un encanto que hipnotiza los sentidos y los concentra en el detenimiento admirado de su obra." "El uso que hace Rubén de la luz y los colores es, sencillamente, magistral. Ver sus fotos es disfrutar. Cada una me aporta algo. Ninguno de sus trabajos me deja indiferente. ¡Salud y a seguir mostrando tu arte, amigo!" "Ruben's colorful and beautiful photos have been a great inspiration to me. I am constantly amazed by Ruben's sense of composition and color. He is very creative and has a great eye for what makes sense in composition, and a great skill in post-processing to make sure the beauty shines through. Thanks Ruben for sharing your great work with us here on flickr." His work, with so fabulous colors and treatment is a pure delight! Keep up the fabulous work!" "Simply some of the best works on Flickr IMHO. Great ability in composition and treatment, an unique HDR style. Surfing his photostream it's a big pleasure that I suggest to everyone. Mucha suerte y muchas capturas mas!" 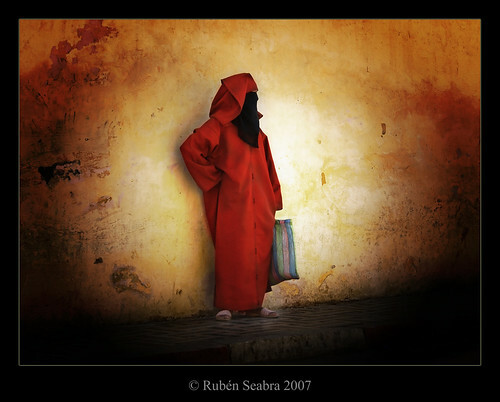 "Ruben is one of my favourite flickr photographers. As a master of HDR, his shot are always colorful. Keep the pictures coming!" They are all truly exceptional photographs. "The sisters of St. Cathode ask that you cover yourself with filaments and take pains to make yourself fully incandescent this evening""
"The pictures of ruben seabra are really fantastic. I could add all of his photos to my favorites. Good on you!" Admiro la dedicación y buen gusto que demuestras en cada una de tus composiciones. Tu estilo es único y leno de talento. Me encantan tus fotos de paisajes, ya que haces un muy buen uso de la luz y los colores. Es un placer visitar tu photostream! Mucho éxito y sigue así de bien. "*atrium09's photos are some of the most amazing on Flickr. Take a few minutes and flip through; you'll find more than a few favorities." is a master HDR for me. his photos are all amazing. i could learn a lot about photography from him." "Ruben takes great shots. His HDR work is always over the top in a good way. He adds that extra punch without oversaturating. He's got an eye for detail and colour which shows in all his shots"
"Uno de los mas grandes fotografos que conozco y admiro, uno de los mas cercanos tambien, alguien a quien no solo puedo admirar sino tambien llamar amigo, una persona afable, y con un don para la fotografia que muchos querriamos tener, solo hay que dar un vistazo a cualquiera de sus fotos para quedar atrapado por su belleza y solo hay que leer los comentarios para darse cuenta de cuanto se le aprecia, un gran placer poder disfrutar en este mundo de tu compañia Rubén, un abrazo!!" I met him on www.flickr.com explore. His exhibits here are extremely high quality & keep making new standard. I need no more word to say!! Except requesting you to visit him more often to get motivated & inspirations. You are a great asset's on the net....."
"Ruben has such a talent for capturing the beauty within everything he photographs. The combination of colors, composition, settings and textures are always such a work of amazing art. I am always continually impressed and look foward to the photographs that Ruben displays." "After my recent experience in flickr, scarcely I go one month posting photos, I can say that atrium09 is one of the photographers who more has impressed me. You all will be able to observe his great aptitude to create surprising atmospheres across his shots giving a chromatic very interesting variety. I recommend it to all!! "I am astonished that my friend Ruben does not have testimonial yet. Its photographs are fantastic!!! Much creativity and always a superb quality! Take time to visit its stream you will not be disappointed! Thank you to share your splendid photographs!